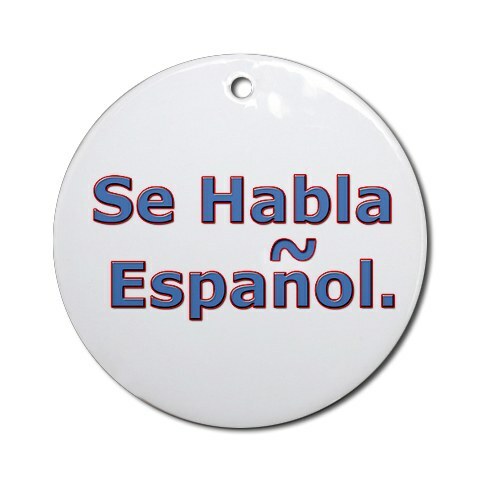 According to the 2000 U.S. Census 18% of people living in the U.S. spoke a language other than English in their home. Jump ahead 11 years and that number continues to grow. We are asked to press one for English and have the option of reading everything from a manual to a menu in Spanish. Of the more than 18% who don’t speak English as their first language, most, if not all, will see a physician here in the U.S. at some point. The physician they choose may not speak their native tongue. Title VI of the Civil Rights Act prohibits discrimination based on race, color, or national origin. The Act goes even further in protecting against discrimination of those with limited English proficiency -also known as “LEP”. Health care providers receiving Federal financial funds are mandated by law to take adequate steps ensuring those who can’t speak English are provided with the necessary tools to clearly communicate with their physician. Physicians who are unsure whether they receive financial assistance from the government should think twice. Physicians who receive reimbursement from Medicaid or Medicare are recipients of Federal financial assistance, and, thus must comply with Title VI requirements for language assistance. If the Office Civil Rights (“OCR”) gets a complaint about a noncompliant physician’s office, they will inform the practice in writing of its findings and identify the steps that must be taken to become compliant. If the practice chooses to ignore the OCR’s helpful hints, the OCR is empowered to terminate any Federal funding (after an administrative hearing). Find out what LEP services are already available in your area examples: hospital, community center, schools and the library. Develop a written policy for your practice to ensure effective communication with the LEP population. The policy must be in compliance with federal laws and regulations. The plan should also include a list of qualified individuals who have the medical terminology to satisfy your requirements. A physician’s position in a lawsuit will be enhanced if they have relied on the interpretation of a qualified individual. Educate the staff on LEP requirements and practice policies. How should physician offices handle telephone calls to and from LEP patients? Determine how your staff is handling calls from LEP patients and develop procedures to help them respond to patient communication needs. If possible, telephone calls from LEP patients should be answered by bilingual office staff or onsite interpreters. If possible alternatives include enabling staff members to activate three-way calling with a telephonic interpreter or to transfer calls to someone at the office who speaks the relevant language. Answering machine messages should be provided in more than one language (with prompts) if there are a significant number of LEP patients in the practice who speak one or more non-English languages. In the case of a high volume of diverse LEP patients, telephones can be programmed to rollover directly to a phone line with telephonic interpretation services. If using an answering service, consider contracting with one whose language capacity mirrors that of your practice. While coming into compliance may seem like a daunting task, it pales in comparison to what will happen if your case is tried in a court of law. Language does not seem to be a barrier when non-English speaking individuals hires an attorney – to go after you. A thoughtful compliance plan can save much grief for both physician and patient. About: Jeffrey Segal, MD, JD, is founder and CEO of Medical Justice Services, A Medical Spa MD Select Partner. Mike Sacopulos, JD, is general counsel for the organization.